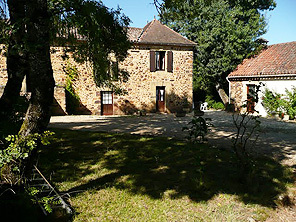 4 fully equipped houses and 2 first floor gites offering self catering accommodation for 2 to 8 people. Large 14m x 7m securely fenced pool and separate toddler's pool both heated from May to mid September, pool bar, games room, play area and mini football pitch. Secluded and safely situated amongst meadows and woodland, yet only 10 minutes to medieval towns of Belvès and Monpazier. 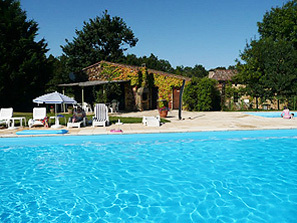 An ideal centre for exploring the Dordogne region with its many attractions within easy reach. Autumn/Spring Breaks - rates on request.